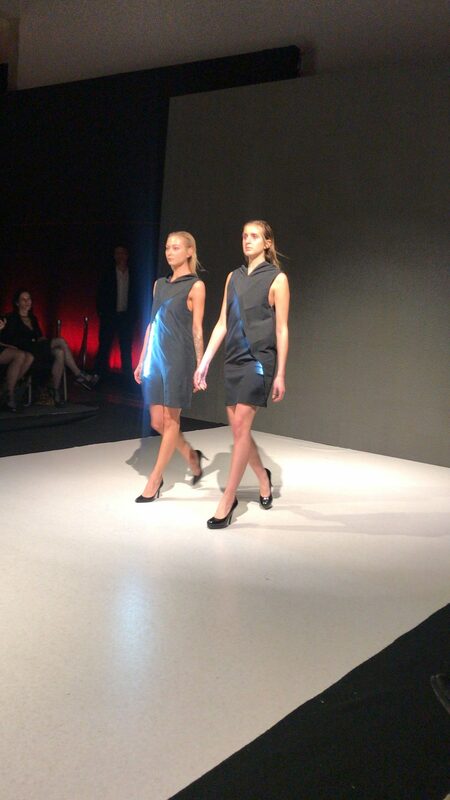 I have a soft spot for when fashion meets technology. The Maria Pia Cornejo SS 18 collection does just that. 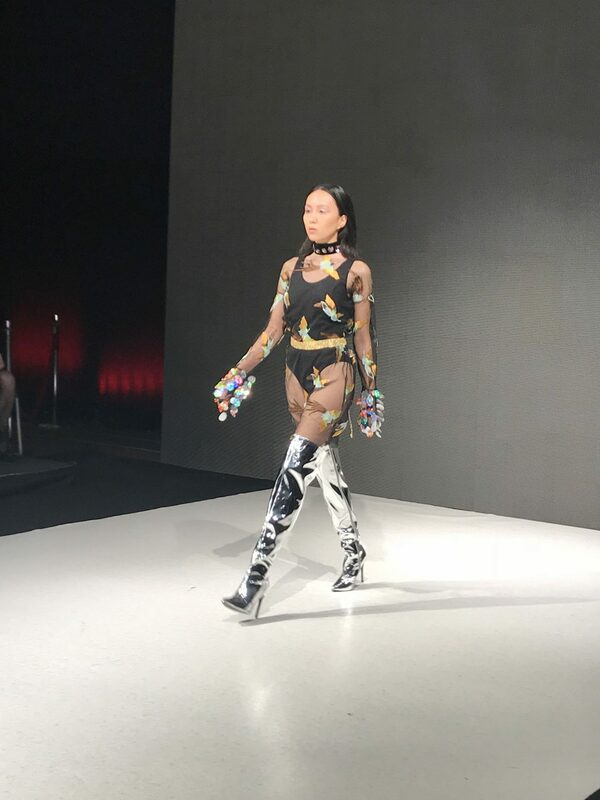 The pieces showcased at VFW used heavy fabrics lined and decorated with lights. I loved how the lights not only illuminated the clothing but allowed for unique structure to be given to the pieces – points at usual parts of a sweater, etc. You can see what I mean in the photo below! 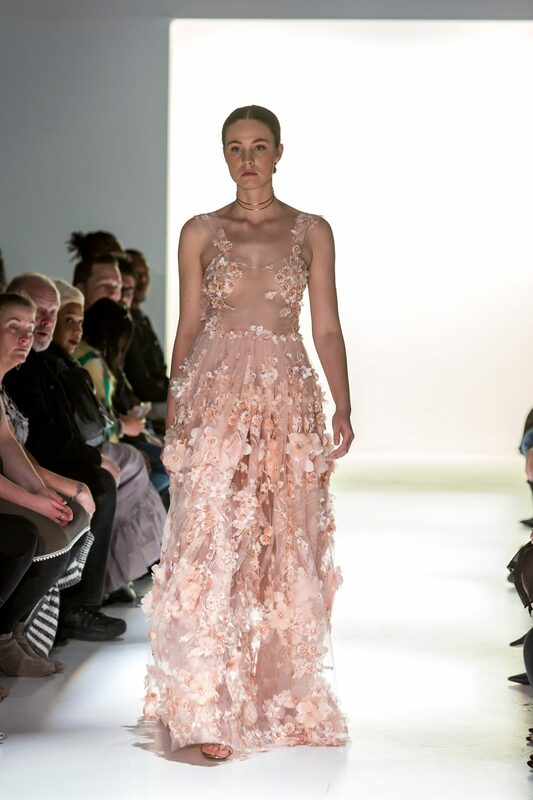 Klaudia Markiewicz is an up and coming Polish fashion designer and I am calling it right now – this girl will be huge. Her eye for grunge meets glam is incredible and her attention to detail is obvious in every one of her pieces. Her collection is different than anything else I have seen on this season’s runway’s and I could not be more in love with that. … Also she has a body suit that says “NASA” and I want it in my closet STAT. 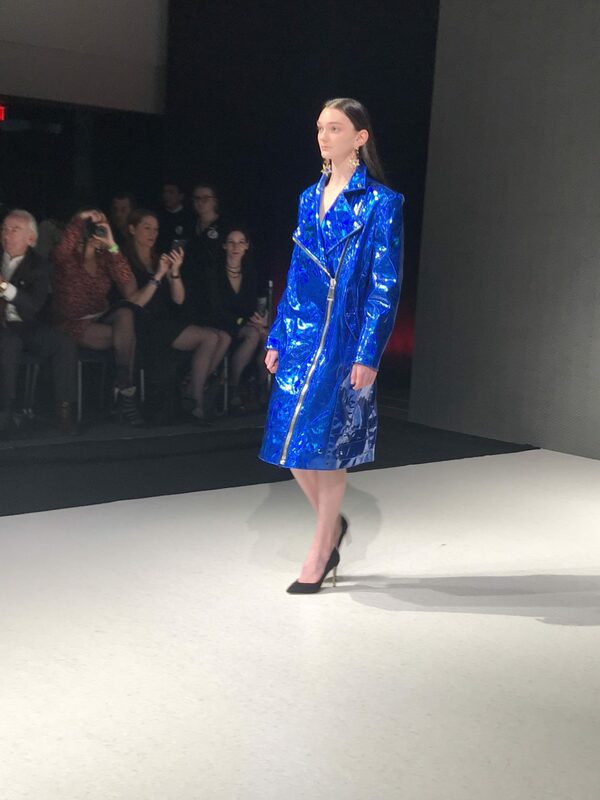 During her Vancouver Fashion Week runway show, the audience started cheering and hollering when her standout wrap dress was shown. Never in all of my years and cities of Fashion Week’s have I seen this happen. Her work is that cool! 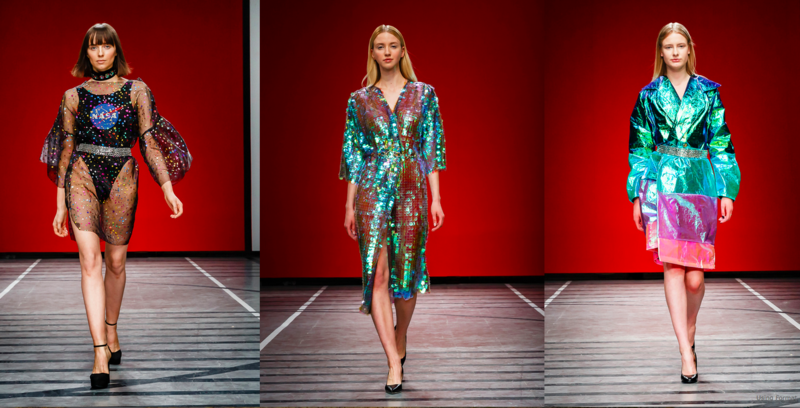 I love the edgy feel and need the sequin looking wrap dress! I was lucky enough to get a close up of her dresses; and the fabrics were even more beautiful than they appeared on the runway. 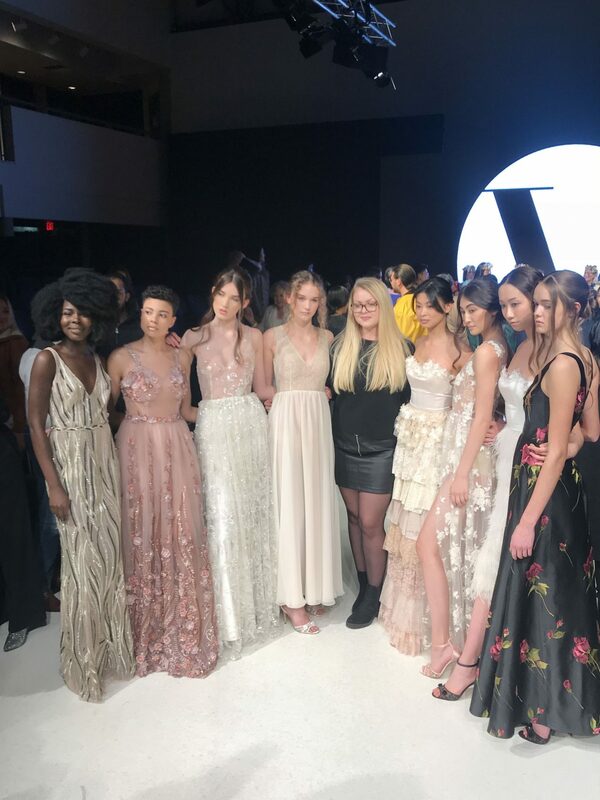 I snapped this photo of the designer herself with a number of her models still in her designs. Let me know in the comments below your thoughts on these 3 collections! 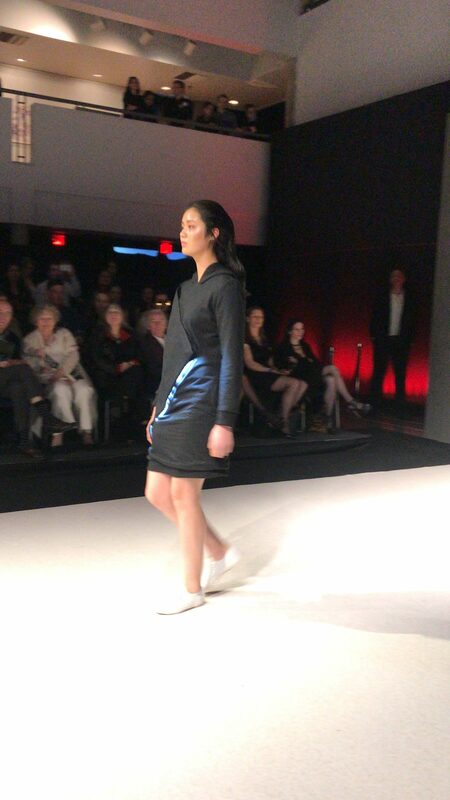 And; if you attended Vancouver Fashion Week, I’d love to know what you thought! 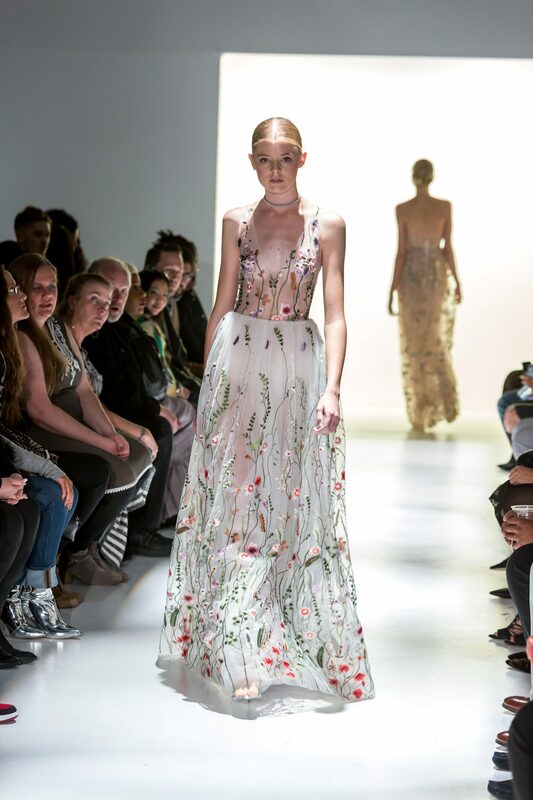 **Please note: The photos in this post are from three sources: the Vancouver Fashion Week website, the designers websites and my personal photos. "The 5 Handbag Trends You Need for Spring"
"Topshop Outfit & My Unusual Fear"